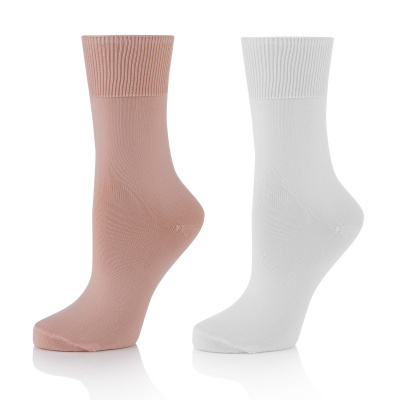 These Ballet Socks from Freed are designed specifically for ballet class and outperform regular socks. They feel great and offer just the right amount of thickness - plush enough to be comfortable, yet thin enough to wear with ballet slippers. They also offer the perfect amount of stretch - enough to fit snugly and wear over tights (if desired), but not too much where they will stretch out like regular socks. Approved by the Royal Academy of Dance for Pre-Primary and Primary examinations, these socks are THE socks for RAD uniform requirements. Made of a comfortable and breathable 100% Nylon material.